#Montreal: Santa’s Rebel Elves wish you a Merry Anti-Colonial #Christmas! 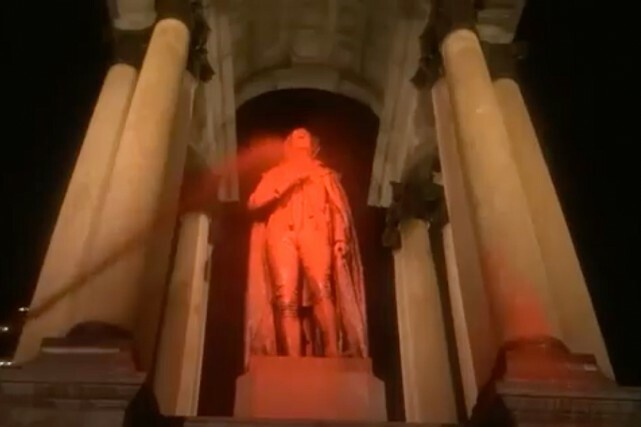 Montreal, December 24, 2018 — On Christmas Eve, Montreal-area vandals have covered the John A. Macdonald Monument (1895) and the Queen Victoria Statue at McGill (1900) with red and green paint respectively. Continue reading #Montreal: Santa’s Rebel Elves wish you a Merry Anti-Colonial #Christmas! When you hear the word “Westmount”, temporary autonomous zones, dumpster barricades, and flaming effigies of Trudeau aren’t exactly what pops to mind. 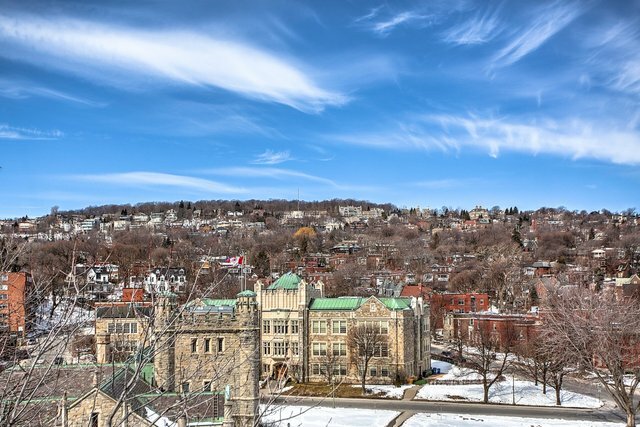 People often think of this drab neighborhood looming over St. Henri as purgatory where the absurdly wealthy listlessly drift between a loveless marriage, resentful children, and a soul-crushing job… But not anymore! Call for autonomous actions to oppose the International Corrections and Prisons Association Conference in #Montreal! Call by Montreal Contre le Prisons for autonomous actions to oppose the International Corrections and Prisons Association Conference in Montreal. 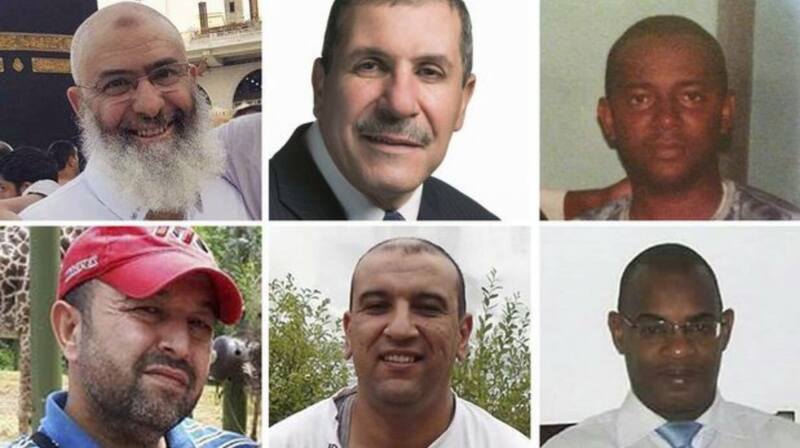 On Sunday October 21st at 3pm—on the two-month anniversary of the 2018 Prison Strike—there will be a rally against all prisons, outside the ICPA Conference at the Montréal Marriott Chateau Champlain, 1050 Rue de la Gauchetière Ouest (metro Bonaventure). Continue reading Call for autonomous actions to oppose the International Corrections and Prisons Association Conference in #Montreal! 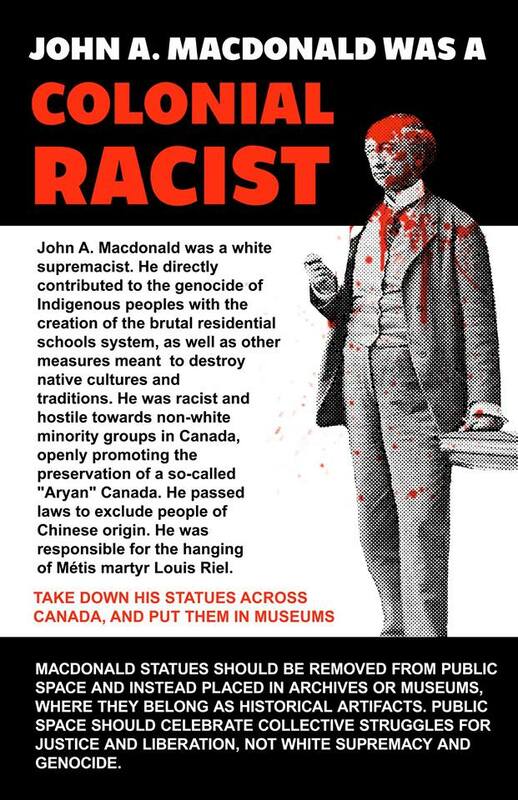 MONTREAL, October 7, 2018 — On the eve of a demonstration against racism in Montreal, a group of anonymous local anti-colonial, anti-racist, anti-capitalist activists have again successfully defaced the historical monument to Canada’s first Prime Minister, John A. Macdonald, located in downtown at Place du Canada. 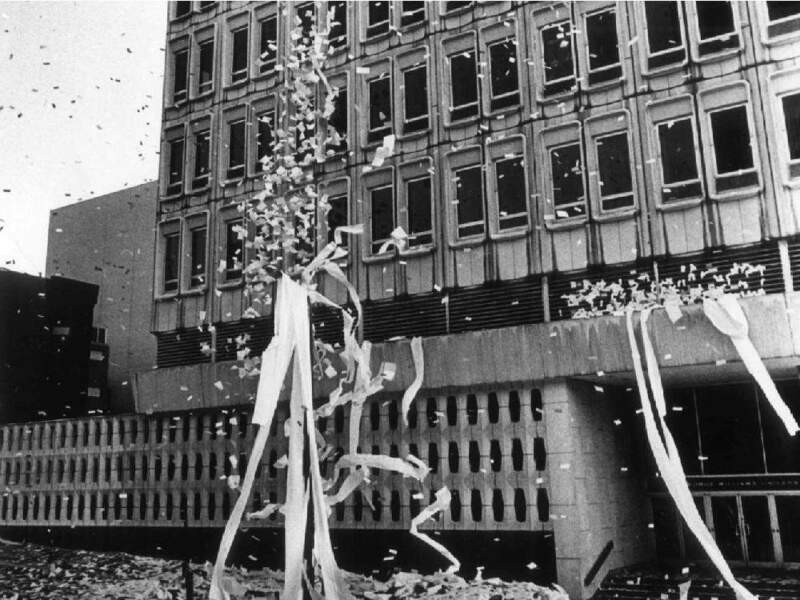 #Montreal’s 14th annual International Anarchist Theatre Festival seeks plays! 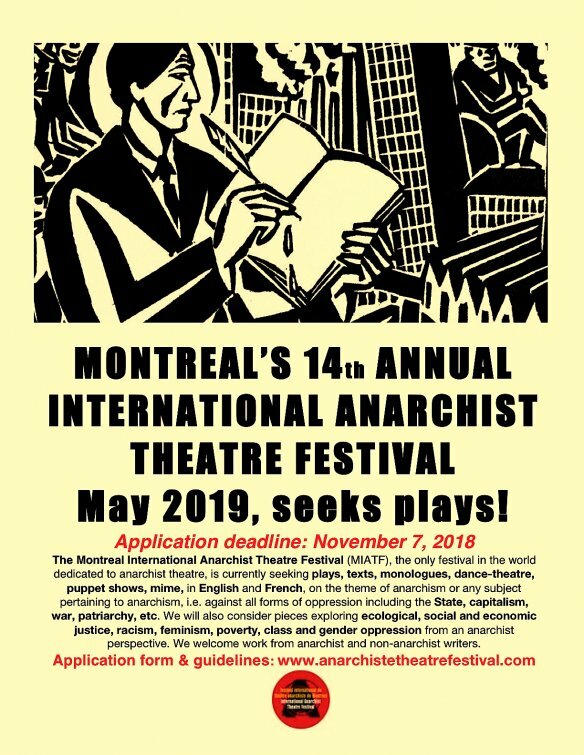 The Montreal International Anarchist Theatre Festival (MIATF), the only festival in the world dedicated to anarchist theatre, is looking for plays, texts, monologues, dance-theatre, puppet shows, mime, in English and French. 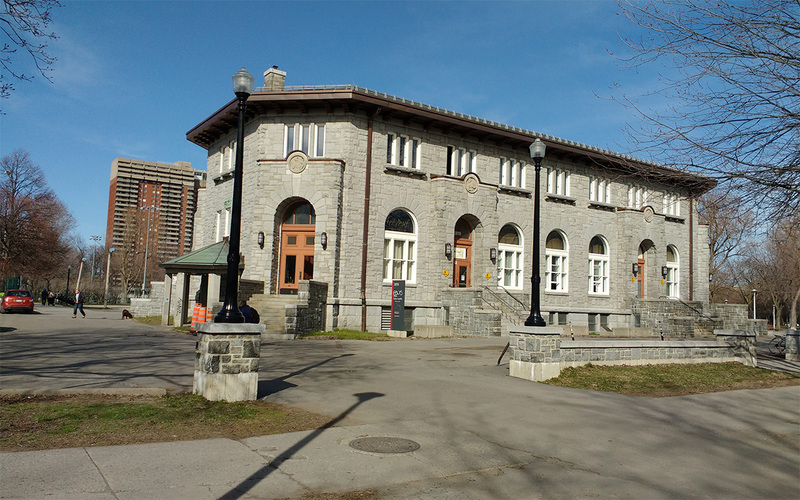 Continue reading #Montreal’s 14th annual International Anarchist Theatre Festival seeks plays! Action against “Operation Nirvana” in Montreal. This operation seeks to criminalize and arrest men who meet in these washrooms.